2016 is looking good for the Chinese entertainment industry! It seems like the drama and movie gods have been reading my Christmas Wishlist from last year… HAHA! You may read more on the upcoming dramas in blogs such as AVirtualVoyage and CDramaDevotee. For this post, I’ll be mainly posting about the projects that I’m really excited about and some may have not been covered by other blogs so might as well spread the love! My favorites in one film? Pinch me! This entry was posted in > China, > Taiwan, - Drama, - Movie, - Variety Show, News and tagged Angelababy, Darren Wang, Eddie Peng, Ethan Ruan, Huang Zitao, Jing Boran, Joe Chen, Luo Jin, Mark Chao, Michelle Chen, Tang Yan, Tiffany Tang, Tong Liya, Vanness WU, Vic Zhou, Wang Kai, Zhang Ziyi, Zhou Dongyu on January 15, 2016 by dramarian. This entry was posted in > China, - Drama, News and tagged Luo Jin, Tang Yan, The Princess Wei Young, Tiffany Tang, Van Ness Wu, Van Ness Wu 2015, Van Ness Wu 2016, Vanness WU, Vanness Wu 2015, Vanness Wu 2016, Vanness Wu drama 2015, Vanness Wu drama 2016 on December 16, 2015 by dramarian. 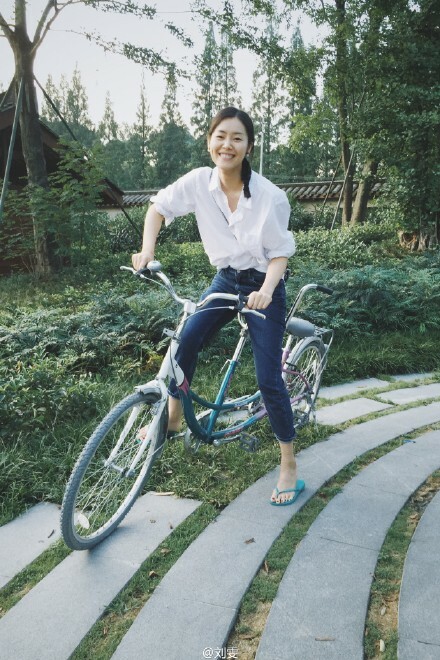 Everyone’s favorite Chinese supermodel is very happy with her bike! I’ve always thought that Liu Wen was my soulmate because we both don’t have enough life skills to survive (read: can’t swim, can’t bike, etc) but looks like my soulmate has already left me…. haha! This is all thanks to “We Are In Love” or China’s version of “We Got Married” which just recently concluded. This entry was posted in > China, > Taiwan, Weibo and tagged Ariel Lin, Barbie Hsu, Eddie Peng, Fan Bingbing, Ivy Chen, Li Chen, Liu Wen, Ni Ni, Sunny Wang, Van Ness Wu, Vanness WU, Zhang Han on August 8, 2015 by dramarian.